After the Andhra Pradesh crisis in 2010 hit, the extensive media coverage on predatory lending practices, coercive collection methods and resulting farmer suicides due to over indebtedness etched itself in public memory. Microfinance had promised the upliftment of the poor and ended up simply replacing the village moneylender (literally, as we’ll see later). Working as a researcher on multiple microfinance-related projects, I’ve had the opportunity to observe public opinion on microfinance in action (every time I’m forced to explain that I don’t work in microfinance). Fast-forward to 2014 and the mere mention of microfinance to the average Indian will raise an eyebrow. So does this mean microfinance, as an industry is dead? After the AP crisis hit, the contagion of default was expected to spread throughout the country and swallow the multi-billion dollar industry whole. However, away from the public eye since the infamous 2010 AP crisis, the sector has been steadily growing. 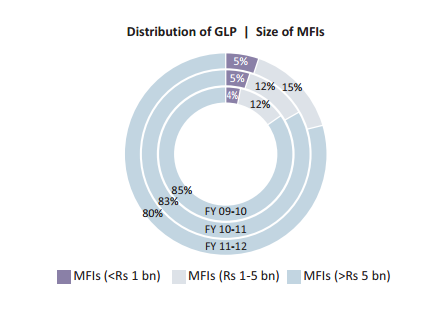 To get an idea of industry trends post 2010, let’s take a look at the gross loan portfolio (GLP) for MFIs who are members of the Micro Finance Institutions Network (MFIN), which include all the major NBFC-MFIs in the sector. 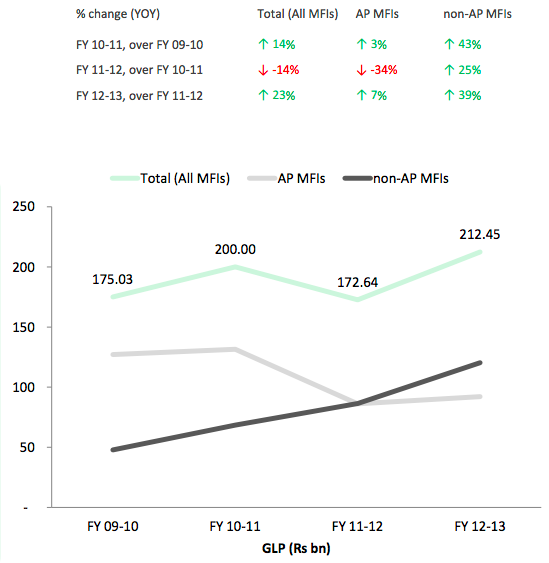 The GLP contraction in 2011 can be clearly attributed to Andhra Pradesh (AP) based MFIs and as of the Microfinance Sector Report 2013, prominent AP based MFIs continue to experience negative or negligible business growth, excluding SKS Microfinance. 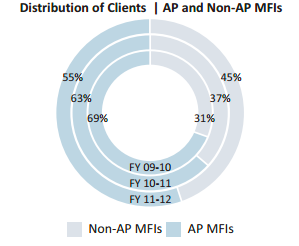 This is evident if we look at how the distribution of GLP has changed between AP based MFIs and Non-AP based MFIs over 2009-2012. In the public eye, microfinance had been rejected as a profit-seeking industry bent on exploiting the poor. However, since the AP crisis, the industry has gone through phenomenal regulatory changes to bolster investment in the sector. So what are the changes which have kept the sector thriving, even after the public has given up on the model? 1) Interest Rate Caps: From May 2011, the RBI set a cap of 26 percent on the loans being given out by MFIs (which leave s a margin of around 10% after subtracting the cost of priority sector lending). These recent measures effectively put an end to any industry players charging their clients extortionary interest rates. As of April 2014, the RBI has eased on this rule, and has removed this cap and interest rates are now directly linked to the cost of funds. "RBI said the microfinance institutions (MFIs) should arrive at the lending rate by calculating their cost of funds plus a maximum 10% margin or the average base rate of the five largest commercial banks by assets multiplied by 2.75 times, whichever is lower. Margin cap: Further, with effect from April 1, 2014, the margin cap shall not exceed 10 per cent for MFIs having loan portfolio exceeding Rs.100 crore and 12 per cent for others, as against 12 per cent for all hitherto,” it added. These latest changes also level the playing field between small and large MFIs as smaller MFIs have higher operating costs and were struggling due to the interest rate caps imposed by the RBI. 2) Cap on number of loans per borrower and Credit Rating Systems: Two credit ratings agencies have emerged under CIBIL – Highmark and Equifax to ensure that no client can take a loan from more than two MFIs simultaneously and to provide MFIs with extended credit histories for every client. This also allows the RBI to enforce its mandate that no client can borrow more than Rs. 50,000 from MFIs at one time, along with checking on other caps on the client’s income. 4) Customer Protection Guidelines: After the crisis, customer protection of microfinance clients has gained significant traction in India. The Smart campaign began a two-year capacity building program in 2011, to encourage MFIs to endorse its Client Protection Principles. These changes in the sector have contributed significantly to regulate operating practices and attract investment. The Microfinance bill of 2012 is yet to be tabled in the parliament and will further help bolster regulation in the sector. Here are the highlights of the bill. 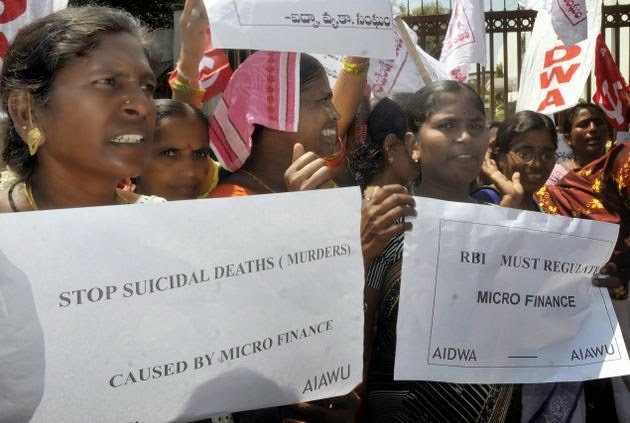 With regards to Andhra Pradesh, what has been the impact of the withdrawal of microfinance? The Centre for Microfinance is currently conducting a study on the subject. The study proposes to measure the impacts of the withdrawal of microfinance from urban neighborhoods in the wake of the crisis in Andhra Pradesh, India. Another in-house study by the Centre for Microfinance showed that in the absence of microfinance, borrowing from Self-help groups and formal banks did not increase. 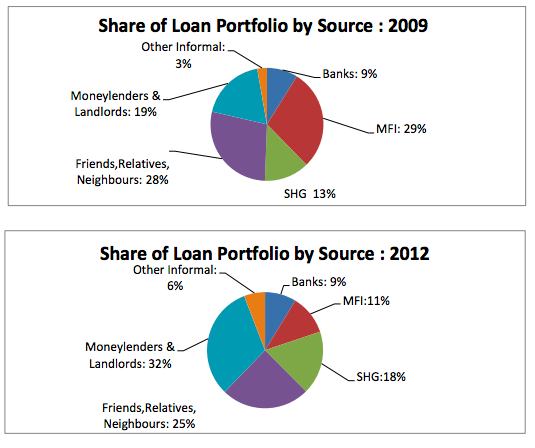 On the other hand, borrowing from moneylenders and landlords increased by 68.4 percent. This implies that microfinance could serve as a substitute for informal sources of finance, which other formal financial institutions might not be able to do. Despite this progress over the past 4 years, microfinance continues to be viewed negatively in the public eye. The RBI has also failed to integrate the sector in its Financial Inclusion agenda. As Mr. Dili Raj (president of SKS) stated recently at Sa-dhan’s Financial Inclusion summit, “We realize banks have credit lending capability, MFis have extensive reach/credit delivery skills. 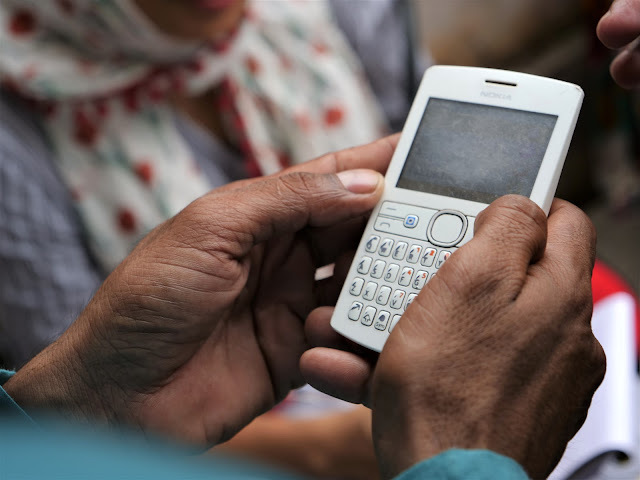 This is the solution to financial inclusion. Instead the RBI has chosen to focus on the formal financial sector and digital platforms to achieve its financial inclusion objectives. This is despite the regular access they could achieve to the 2.85 crore active borrowers in the microfinance industry by collaborating with MFIs. A major issue facing the sector since the crisis is the lack of capital being diverted to smaller MFIs, given that they are less regulated. As the state of the sector report mentions, there is a ‘bias for large size’ due to new regulatory prescriptions such as an increase in capital requirement/capital adequacy ratio, insistence on membership in credit information companies/Self-Regulatory Organization (SRO) and interest and margin caps. Smaller MFIs are expected to merge to form medium sized MFIs, which are able to attract more capital investments since they are better regulated, which speaks to the industry’s increased focus on improving regulation. A Bright and Regulated Future? As of now, the industry looks set to continue its growth, with the Microfinance bill still pending in the parliament. Without the bill, the onus is still on the sector to self-regulate and ensure it does not stray from its community development agenda. However, the RBI recently expressed its faith in the sector through the introduction of the concept of a Self Regulatory Organization for NBFC-MFIs. As for public opinion, I’d say it depends on the performance of the industry over the next decade, positive press and the progress of the government’s financial inclusion agenda. Impact evaluation studies on microfinance have shown mixed results, pointing out that microcredit is mosty beneficial for microentrepreneurs and those who already own businesses. Here's a link to CGAP's compendium on impact evaluations of microcredit up to 2011. The need of the hour is for the industry to demonstrate the value of its ability to deliver a comprehensive package of financial services to the last mile with phenomenal efficiency, something the formal financial sector has failed to do so far.